Linux 4.18 Arrives With Some Big Changes! 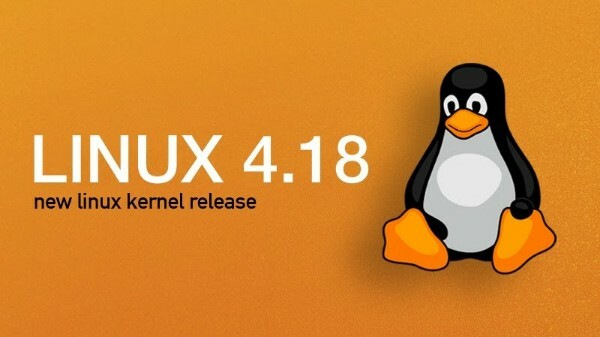 Following a number of delays, Linus Torvalds has finally announced release of a Linux 4.18, the latest stable release of the Linux kernel. In development since June, the Linux 4.18 cycle has taken a little longer to fully form that anticipated, but with a decent change-log attached, I’m sure most won’t mind. Linux 4.18 is also lighter than previous releases, with nearly 100k fewer lines of (obsolete) code than Linux 4.17. This entry was posted in Linux and tagged linux, Linux 4.18, linux academy, linux commands, linux distros, linux download, linux games, linux mint, linux operating system, linux ubuntu, release on August 14, 2018 by DemonicSweaters.